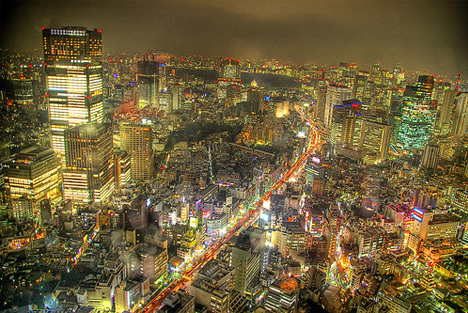 The largest city on earth – Tokyo. Image by Altus. I have often found myself reflecting here on matters of scale – of blocks and streets, of cities and neighborhoods. Recently I have found myself thinking about the relationship between the really, really big, and the fairly tiny. Let me explain. We lead our daily lives in familiar, and usually quite circumscribed, places: a neighborhood, a row of houses, a nearby bus or subway stop, an office in a corner of downtown. We don’t often find ourselves thinking of a whole city at one moment, much less the even larger regions surrounding our urban centers. It can be hard to imagine that the daily choices we make inside our tiny little bubbles mean anything very much in the really big picture. But let’s think about that for a moment. Workday morning, sometime around 6:30am. The alarm goes off – ugh. Reach over and switch on the light, and prepare for another day. Ahh – the light bulb goes on. But is it a Pharox bulb, a new kind of lamp that lasts 35 years and is 15% more efficient than even a Compact Fluorescent Lamp (CFL)? It should be – the manufacturer, Lemnis, tells us that if every Dutch home replaced 4 regular light bulbs with 4 Pharox bulbs, the energy saved would power Amsterdam for a year. I guess the little things add up pretty fast. Amsterdam. 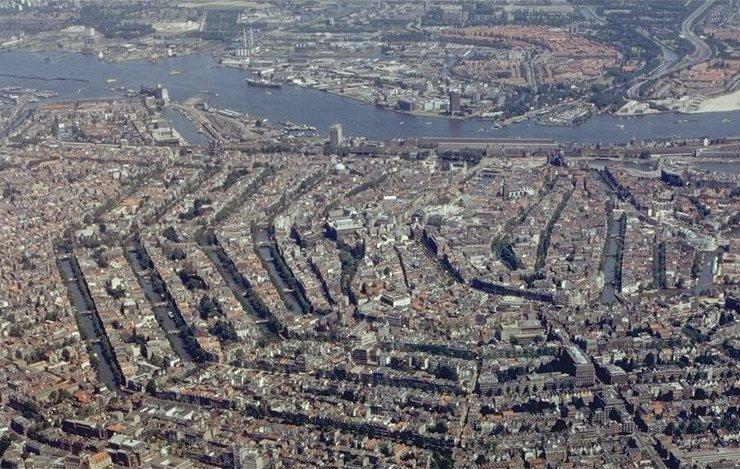 Image by the City of Amsterdam. Now let’s head downstairs to make coffee and look at the newpaper. Some of us do still read the newspaper. Okay, got that coffee bubbling? That pound can of coffee you just opened will make something like 42 cups. How much water to make the pound of coffee? 2,650 gallons. Ouch! (Oh, and about 37 gallons of water for a pound of paper). Get out your calculator and start to do some quick math with me. Say there are 100,000,000 regular coffee drinkers in the U.S. And let’s stick with the average per capita coffee consumption figure offered by the World Resource Institute: 4.2 kilograms – 9.24 pounds. That means that we use over 2.5 trillion gallons of water a year on our coffee. Ahh – the little pleasures in life. Time for a shower. Ten minutes? About 40 gallons of water. And think about this: 95% of all water consumed in an average American household goes down the drain. Since an average household uses about 128,000 gallons a year, that means that 121,600 gallons washes away. I’ll let you do the math on this one – 110,000,000 households in America. Time to head for the office. Let’s say you’re 20 miles from work. Start up that Expedition on the driveway, and off you go. Weekly fuel consumption? About 17 gallons of gas. Let’s try the Vespa instead. Weekly fuel consumption: just shy of 3 gallons. Now you can use your calculator again – 115,000,000 commuters daily, times however many gallons of gas you burn to get to work. Big numbers, again. Really big. Maybe you should take the bus, yes? After a morning of hard work, it’s time for some lunch. Stroll over to the local joint for a quarter-pounder, some fries and a diet. How much water to get that burger onto your plate? 3,000 gallons. 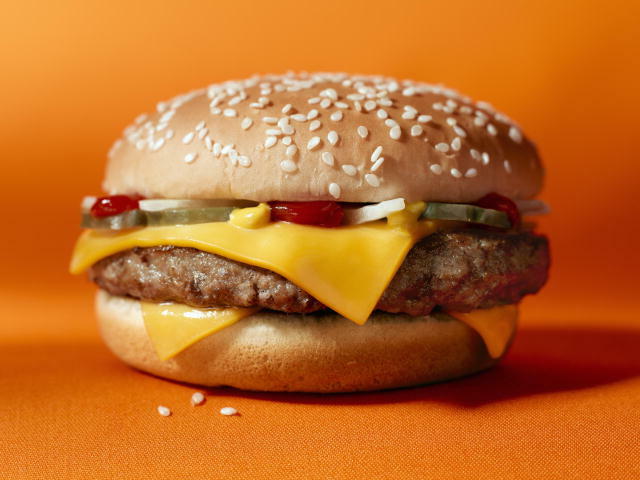 On average, the entire population of the nation eats about 2 burgers a week. That would be nearly 610,000,000 burgers. Multiply again, please: 1.8 trillion gallons of water a week for our burgers. A week. Are you lovin’ it? Time to head home. Did you remember to turn off your computer? If you leave it on every night, that electricity wasted would be equal to more than 912 kilowatt hours (kwH) over the course of a year. If there are 10 of you in the office, and you all leave your computers on, you will have wasted the annual power consumption of an average American household. 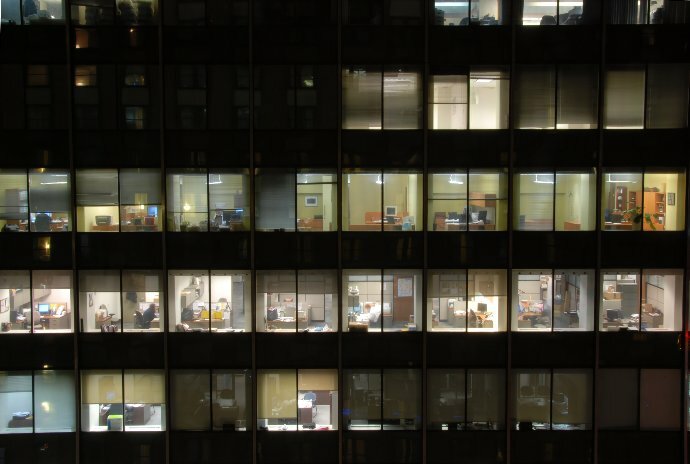 Now let’s say that 30% of the U.S. workforce uses computers, and leaves them on at night. That would be 45,000,000 workers. Wasting enough electricity to power 4.5 million homes for a year. Chicago plus Philadelphia, with enough left over to throw in Akron. Turn off your damn computer! Quite a day, yes? The little things we do, the seemingly meaningless choices we make, have huge implications. A little does mean a lot when you do the math.